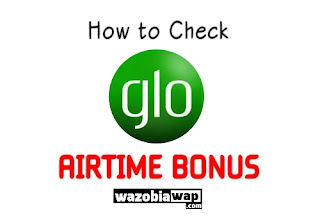 For all subscribers that are looking for how they can check their airtime bonus, this article contains ussd codes for checking Airtime bonus balance for 9mobile, GLO, Airtel,MTN. Just like my best friend Victor. Glo use to reward him N4000 airtime every time he recharges the sum of N1000. He is using Glo 4MULA which has discussed before. So today I will be showing you how to check your Glo airtime bonus balance with ussd code. 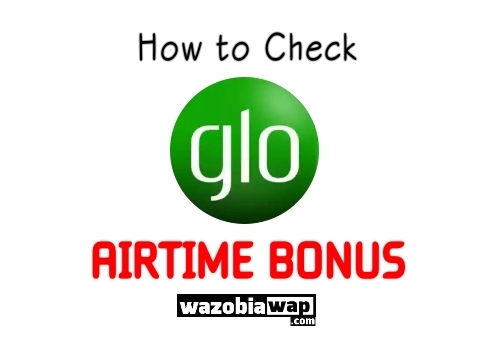 If you want to check your glo airtime bonus balance, just navigate to your phone dialer and dial #122# and send. The next screen will display all your glo airtime bonus, both local and international airtime bonus. That's all you need to know on how to check any glo airtime bonus balance on your phone without without calling the custometr care. Thanks for Reading. Have a Great Day. It kind of issue that so many people don't know how their Awuf4U bouns can be checked. So inside this article we will be disclosing to you how you can check your MTN airtime bonus balance on both Android, IOS and lots more. This one of the most popular, fastest and easiest way to inquire or check 9mobile credit balance directly on your phone. Dial *232# on your mobile device then wait for an SMS response from 9mobile showing your airtime balance.